Credit: William Kentridge, in collaboration with Philip Miller, Catherine Meyburgh and Peter Gibson. The Refusal of Time, 2012. Film Still. 5-channel video projection, colour, sound, megaphones, breathing machines. 30 minutes. 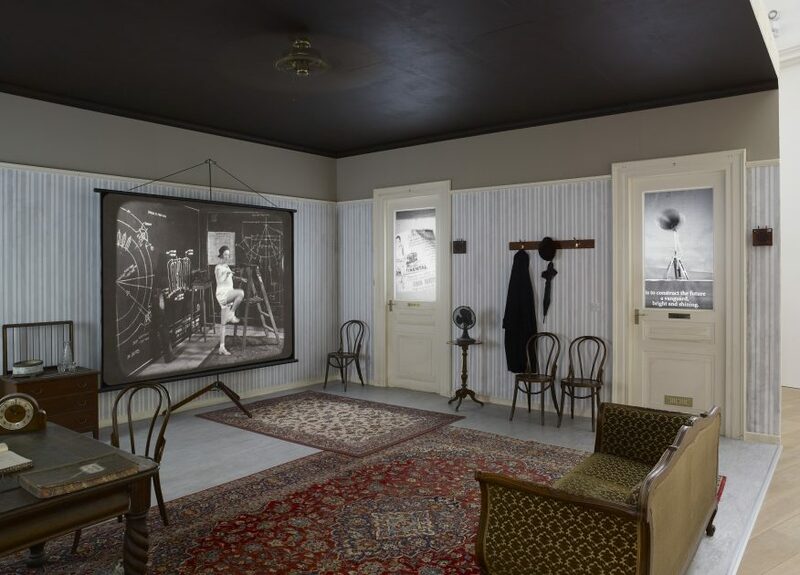 Courtesy William Kentridge, Marian Goodman Gallery, Goodman Gallery and Lia Rumma Gallery. Image courtesy of Whitworth Art Gallery. 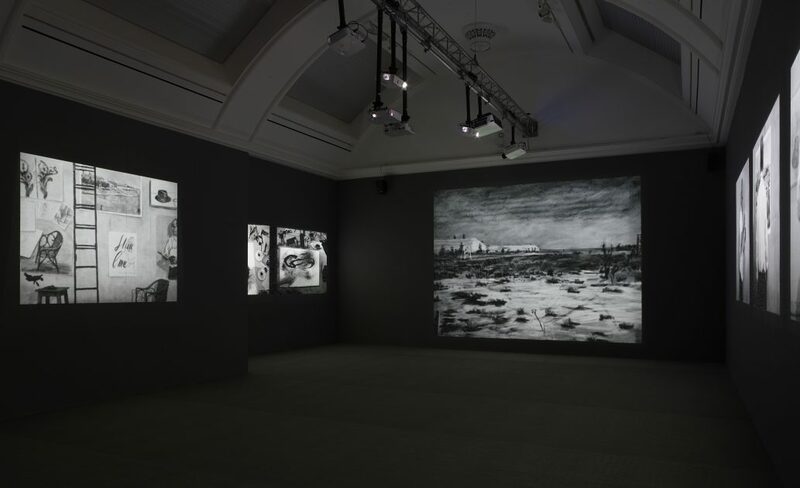 Lumen were asked by the Whitworth Art Gallery, Manchester, to install William Kentridge’s ‘Thick Time’ – a large scale, audio-visual multi-installation. The exhibition features no less than 23 projectors, from small 4000 lumen XGA projectors through to large 7000 lumen laser projectors and multiple sound systems, from stereo through to 8 channel surround, across 5 very different installations, with bespoke attachments and custom built sets. With such a large scale installation, the planning stages began back in December 2017. 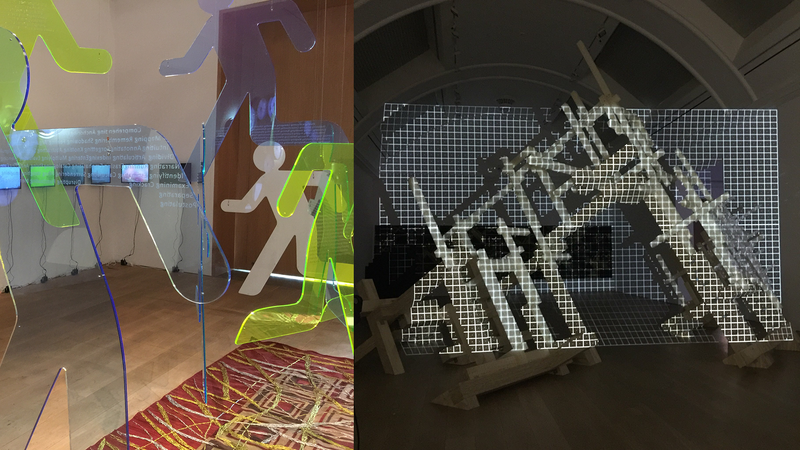 Before installation commenced in August 2018, there were 3 weeks of video encoding and testing at Lumen HQ, to ensure all of the video artworks played back correctly on the respective Brightsign media players, Blackmagic Hyperdeck studio pro 2 and on the multiple different models and types of projector in the exhibition. 5 weeks later, after many projectors and speakers being attached walls, hundreds of metres of cables laid and lots of tweaking, the exhibition is now open and well worth a visit. 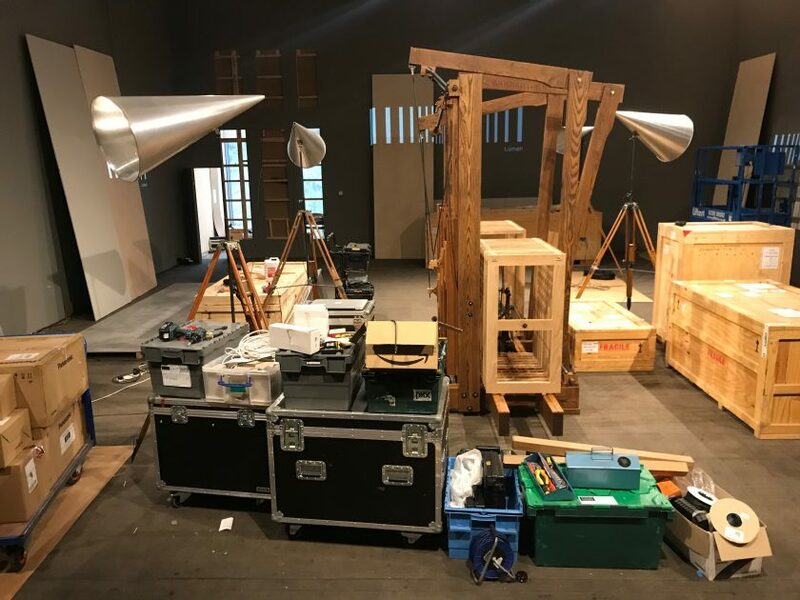 Lumen were also invited to the dinner after the opening, where William Kentridge remarked on the quality of the technical work and Whitworth director, Alistair Hudson, said ‘…this show is really about the technicians!’. We are humbled. Credit: William Kentridge, in collaboration with Philip Miller, Catherine Meyburgh and Peter Gibson The Refusal of Time, 2012. Film Still. 5-channel video projection, colour, sound, megaphones, breathing machines. 30 minutes. Courtesy William Kentridge, Marian Goodman Gallery, Goodman Gallery and Lia Rumma Gallery. Image courtesy of Whitworth Art Gallery. Credit: William Kentridge 7 Fragments for George Méliès, Day for Night and Journey to the Moon, 2003. 9-channel video installation with sound 16 mm and 35 mm film based on live-action, video and animated drawing, transferred to video, colour. Courtesy William Kentridge, Marian Goodman Gallery, Goodman Gallery and Lia Rumma Gallery. Image courtesy of Whitworth Art Gallery. 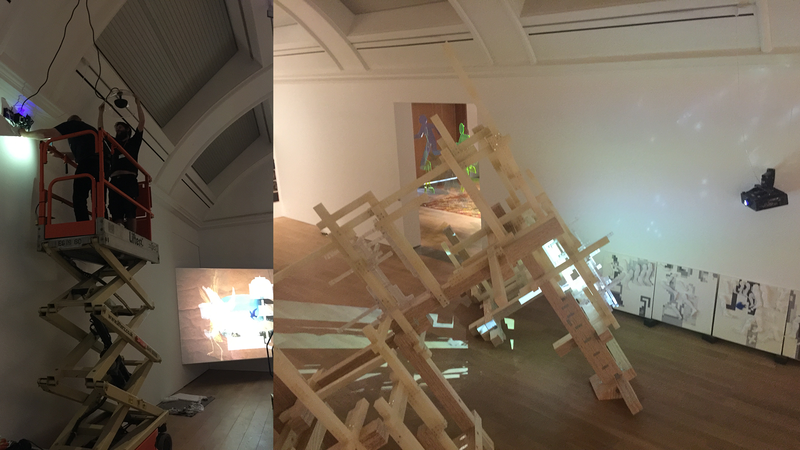 It was a pleasure to work at the Whitworth again and Lumen feel very privileged to be involved in such an ambitious, large exhibition by a leading international artist. “It’s been great to have you all here, the exhibition AV was in very good hands, thank you for being so committed and responsive to all the many, many changes.” Curator Poppy Bowers, Whitworth Art Gallery, Manchester. Installation by James Islip, Joe Osborne, Kathryn Gray, Stuart Bannister, Ben Gwilliam and Tristan Clutterbuck. 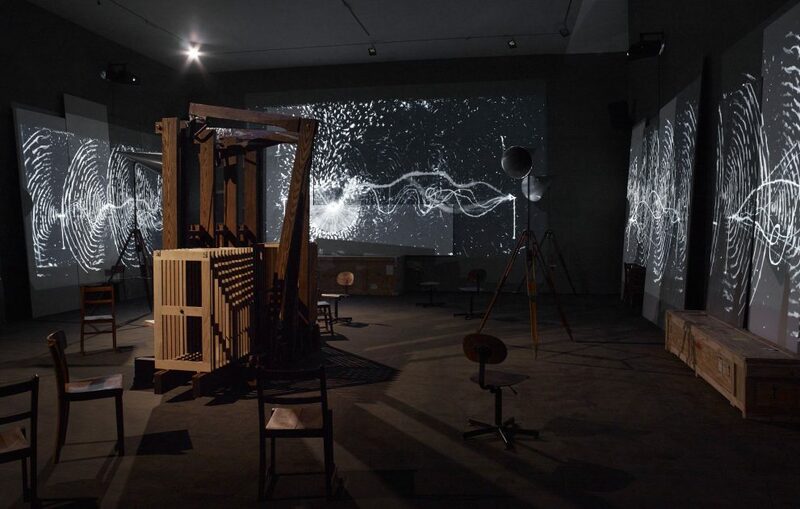 Credit: William Kentridge O Sentimental Machine, 2015. 5-channel video installation with four megaphones, HD video, sound 9.55 minutes. 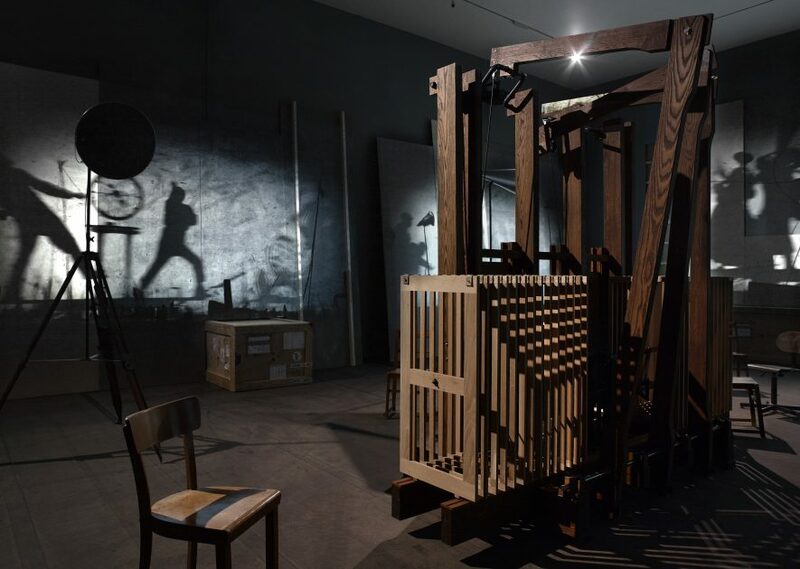 Courtesy William Kentridge, Marian Goodman Gallery, Goodman Gallery and Lia Rumma Gallery. Image courtesy of Whitworth Art Gallery. 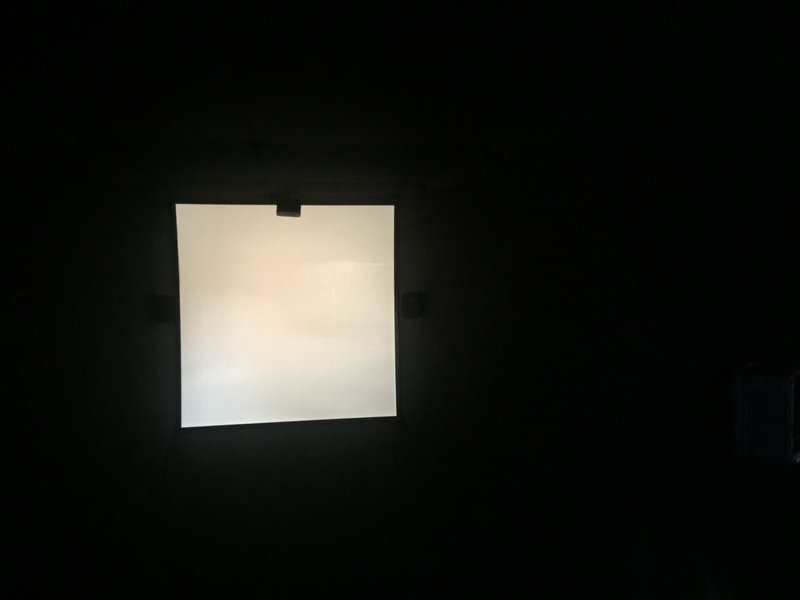 In June, Lumen were commissioned by artists Iain Forsyth & Jane Pollard to install their new video work, ‘DOUBLETHINK’, at the 25th Sheffield Doc/Fest. 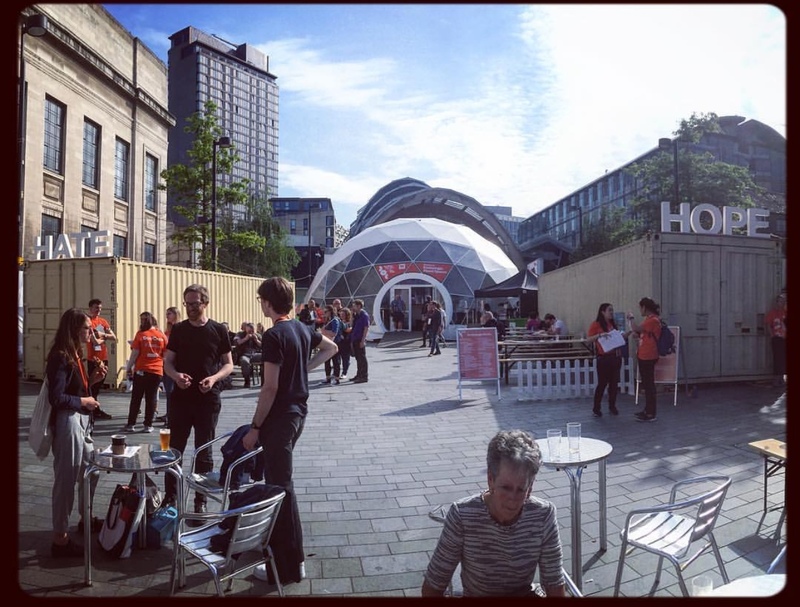 The installation was of two video pieces, titled ‘HOPE’ and ‘HATE’, that were installed inside two long shipping containers. 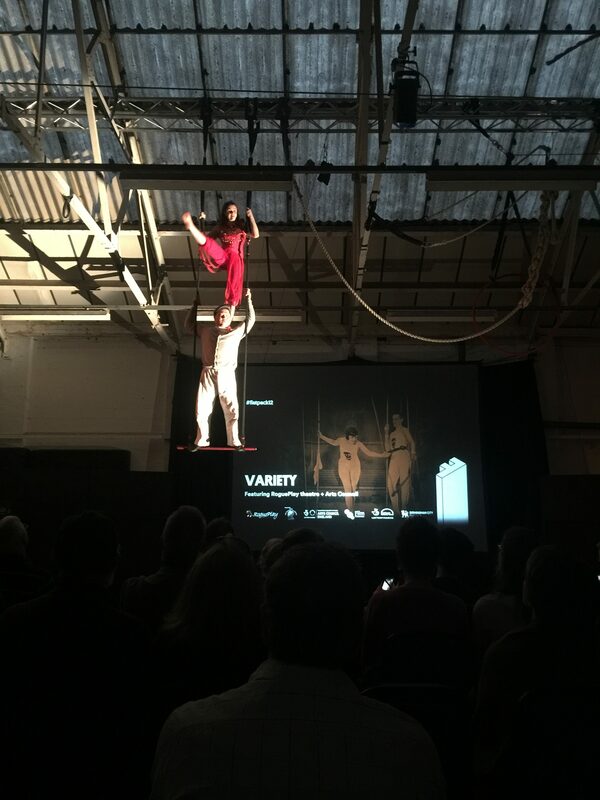 Each container featured a rear projection with bespoke screen and 5.1 surround sound system. 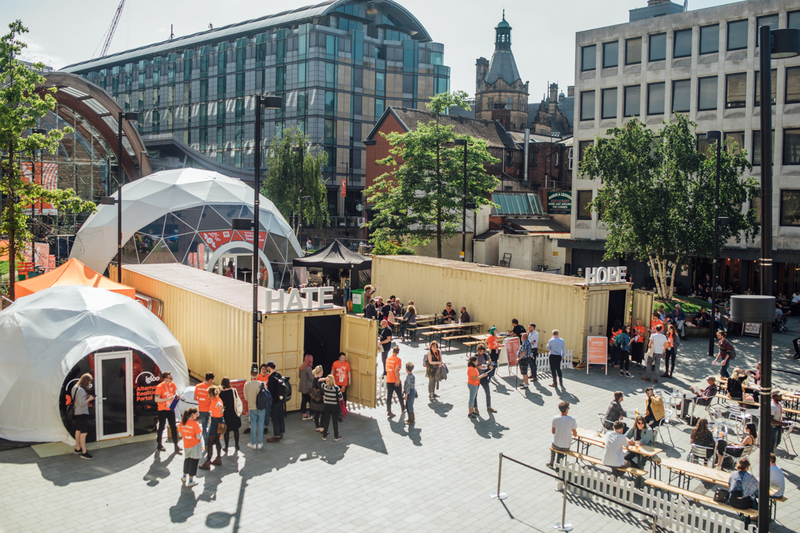 The tricky part of the installation was taking a empty shipping container and turning it into a suitable environment for people to experience a video installation. 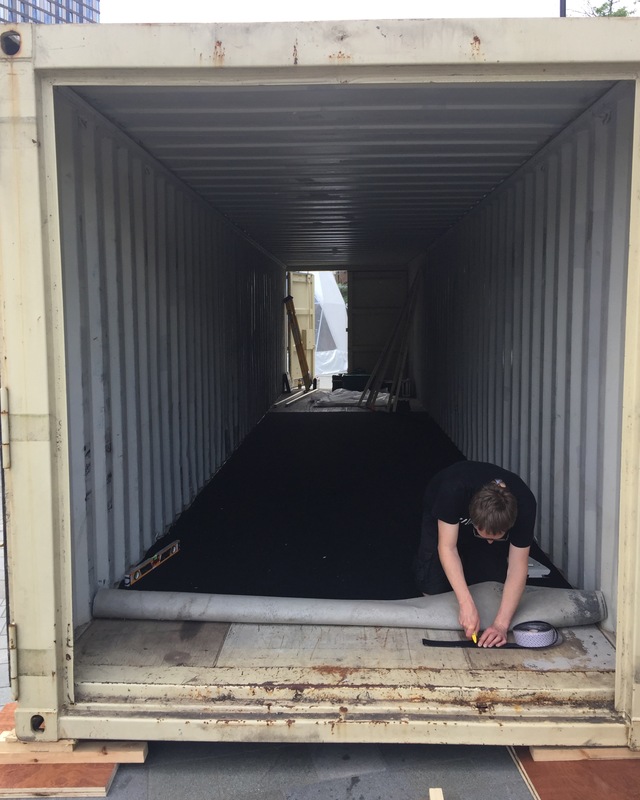 This involved laying carpet, blacking out the whole space with heavy duty material, installing acoustic treatment, constructing benches and building a custom sized, rear projection screen that fit exactly into the almost square dimensions of the container. The results were excellent and presented the artwork in the best possible environment. Installation by James Islip, Stuart Bannister, Kathryn Gray and Gareth Hustwaite. Photo by Henry Rees / Helena Dolby, Sheffield Doc/Fest. 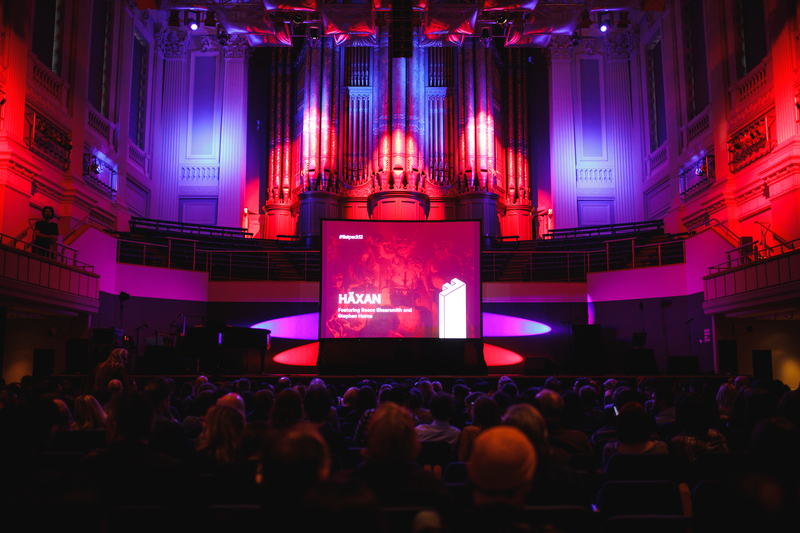 At the end of April, Lumen worked on Birmingham’s Flatpack Film Festival. 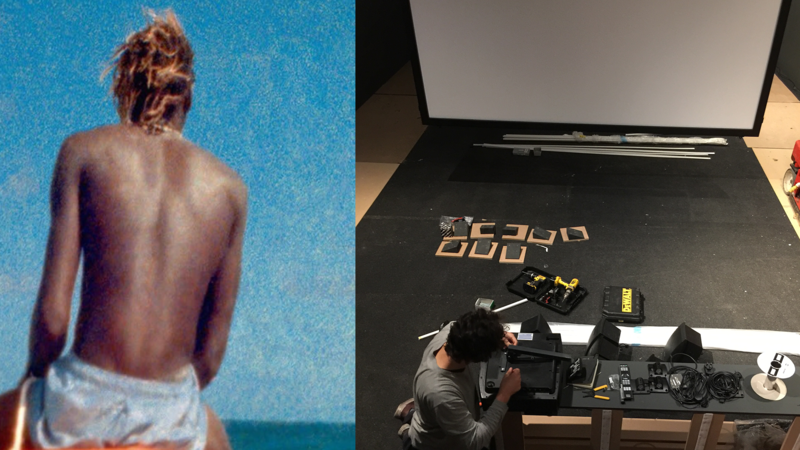 Flatpack is an eclectic mix of film screenings, performances and assorted film contraptions. This was Lumens 9th year working on festival, if memory serves us correctly. 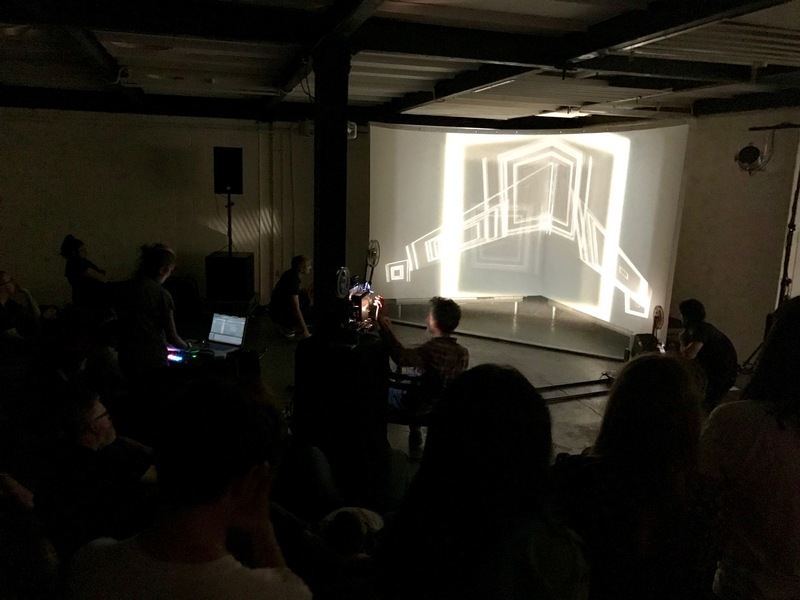 We’ve worked with the festival while it has grown and evolved to require a diverse array of technical requirements each year – from small and large pop-up film screenings, to full live music performances with simultaneous, multiple 16mm projections. 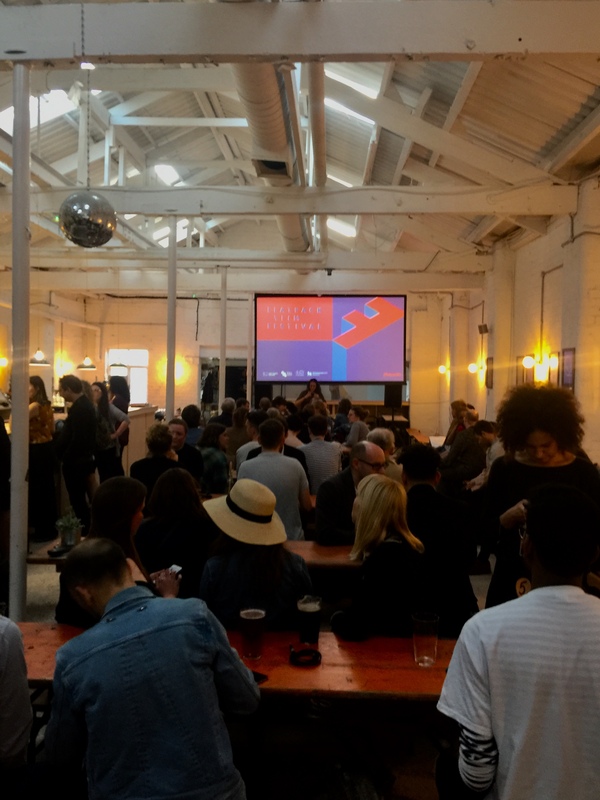 It is always a very enjoyable festival with screenings across the whole of Birmingham’s central area, in many interesting spaces. 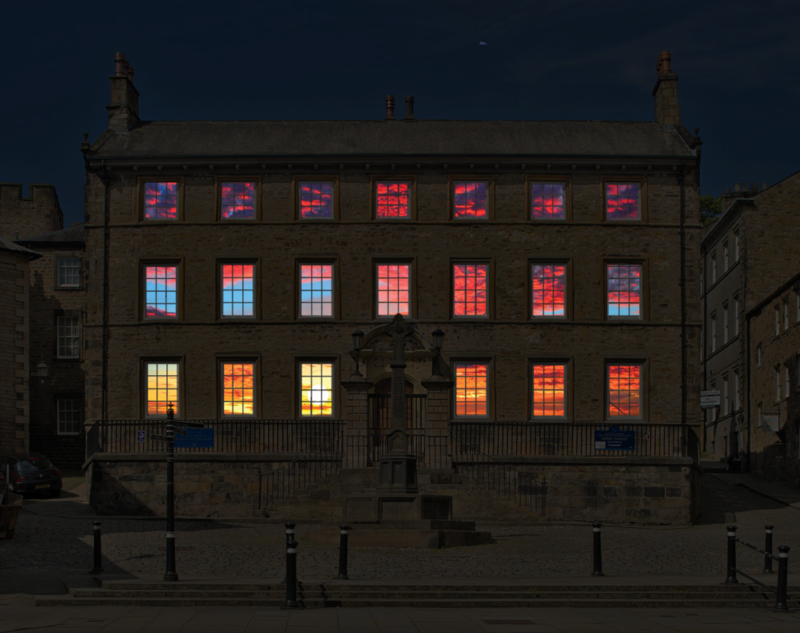 In the autumn, Lumen worked closely with designer Graham Tansley and Niladri, to create an ambitious projection inside the Grade I listed building, Judges’ Lodgings, for Light Up Lancaster, 2017. Amongst the kit, we used 12 projectors with 12 Brightsign media players, all networked together via Cat5, in different rooms, across 3 floors. The project had several tricky restrictions, the building had very limited power and we weren’t allowed to touch any of the furniture in the building due to its historic nature. It has been a rewarding process working with Graham, from advising him in initial discussions, helping provide technical support for previous less complex installations, to this showpiece! There were a lot of things that could have potentially gone wrong with a project as large and ambitious as this, but after a lot of careful preparation, the installation was a success. The final result was very impressive and well received. See the video below. We recently worked with the Whitworth, Manchester to install Steve McQueen’s ‘Ashes’ in one of the Whitworth’s newly built gallery spaces. 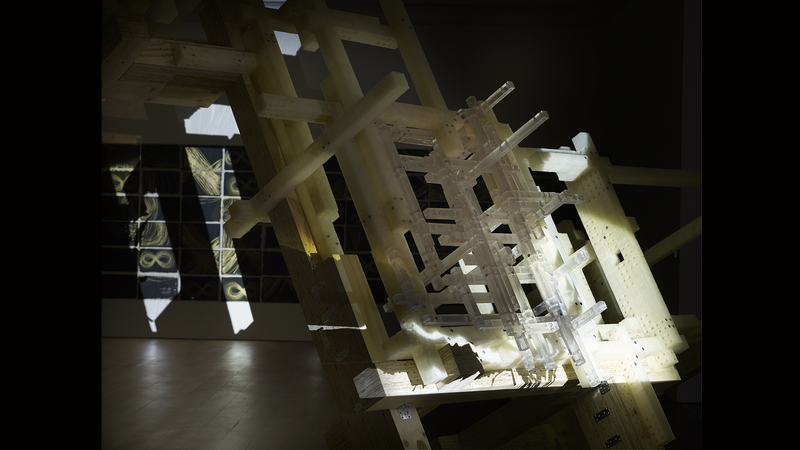 The work is a 2-channel video installation presented in 4K resolution via Blackmagic Hyperdeck and Sony 4K projectors. The audio is 8-channel ‘immersive surround’ via Fohhn Audio DSP system controller. James Islip and Mark Rhodes were A/V technicians for the project, supporting Steve McQueen’s A/V designer Sue Macdiarmid. The installation is open until March 2018. Please see The Whitworth for details. Many thanks to the Whitworth, Sue Macdiarmid, Samantha Lackey, Leanne Green and the Whitworth build technicians Ben Gwilliam, Gareth Hustwaite & Richard Shields. Twilight Language is a new exhibition at The Whitworth Manchester by Raqs Media Collective from New Delhi, India. 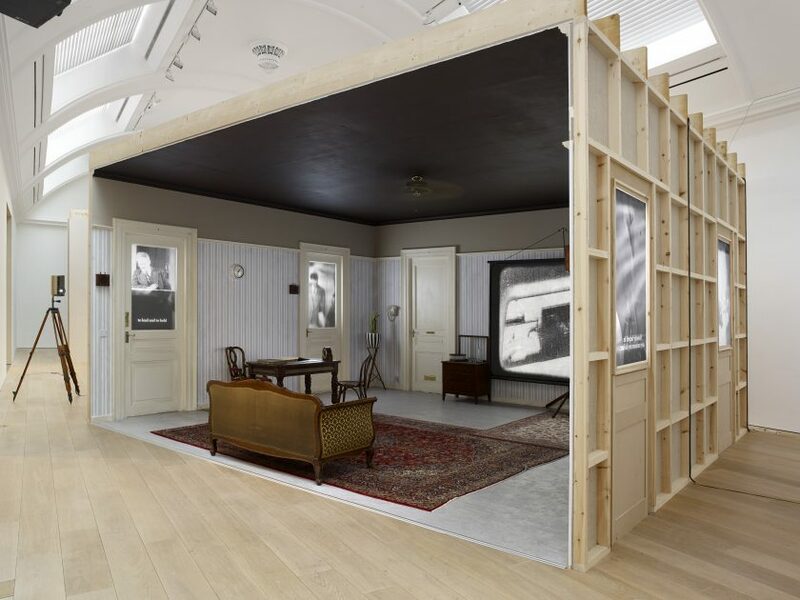 A multi-faceted show across multiple gallery spaces, including 17 video installations. We spent most of September 2017 working at The Whitworth, with the artists, curatorial team and the gallery technicians. It’s been a fantastic project to work, and we are proud to have provided the A/V, both equipment and expertise, for what is a world class exhibition. Curator Mary Griffiths from The Whitworth. Audio-visual installation by: Kathryn Gray, James Islip, Joe Osborne, Ben Gwilliam, Chris Woodward & Mark Rhodes. In terms of the gear, we mainly used WUXGA RZ range laser Panasonic projectors, with additional projectors from the DZ range. The playback is powered by Brightsign. In addition there are two audio installations, one a sound shower, plus several screen-based works. Sincere thanks to Mary Griffiths, Leanne Green, Raqs and all of the staff at The Whitworth. ‘Twilight Language’ is open until March 2018, see The Whitworth website for details. 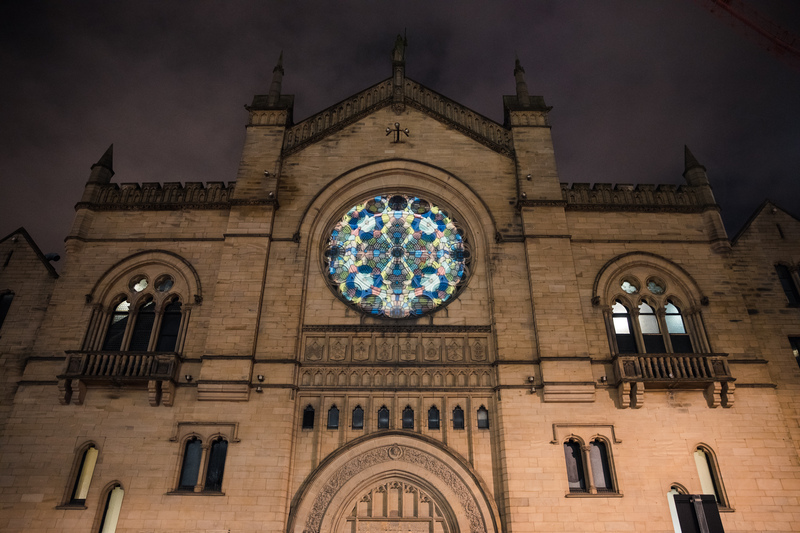 Lumen were commissioned by Leeds BID to create forward thinking, innovative Christmas lights using projection. We have come up with two projection installations running at different sites in Leeds City Centre. RADIAL at O2 Academy. James Islip at Lumen, alongside Dave Lynch and Antony Kitson, are combining their talents to beam an eye-catching projection of winter themes and tones onto the O2’s window façade, one of the most impressive features of the amazing Grade II-listed Gothic exterior of the O2 Academy. The projection is live daily from 4pm until 8pm until Dec 31st 2016. Find out more here. Waggon Lifting Hoist projections at Wellington Place. James Islip, working with 25 Leeds College of Art students have created festive light projections, has animated the historic lifting tower in Wellington Place. Many of these students had not worked with projection before. Find out more about James’s workshops with the students at Leeds College of Art here. In October 2013, Lumen teamed up with visual artists Sam Meech and Chris Paul Daniels to create a video installation for Virgin Records’ 40th anniversary art exhibition: 40 years of disruptions. Creative Review featured the exhibition here or you can view images from the installation via Sam Meech’s photo archive here. Thanks to This is Real Art and Virgin Records.